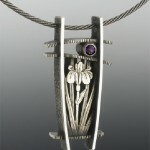 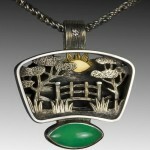 According to Suzanne Williams, she has been making jewelry for more than 20 years. 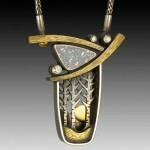 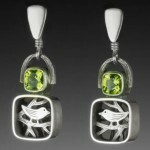 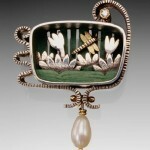 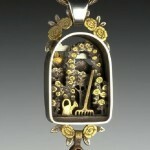 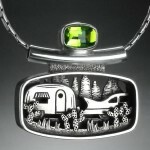 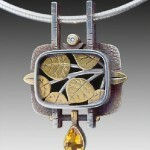 In fact, created by her miniature artworks carved her unique niche in the jewelry art. 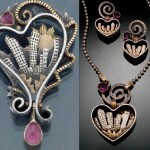 And now, these original detailed miniature designs can’t be confused with other jewelers’ work. 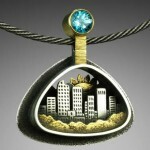 In particular, some of her designs – an urban scene with factories and smokestacks, a landscape with a grove of aspen trees, a powerful storm, and a city reflected in a car bumper. 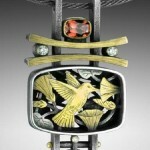 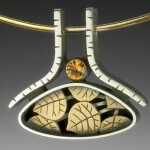 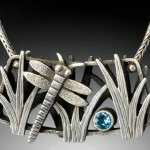 Traditionally, the work of Suzanne Williams – a miniature, made of silver, gold or platinum. 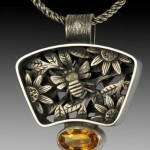 Noteworthy, every decoration – made from a single piece of precious metal. 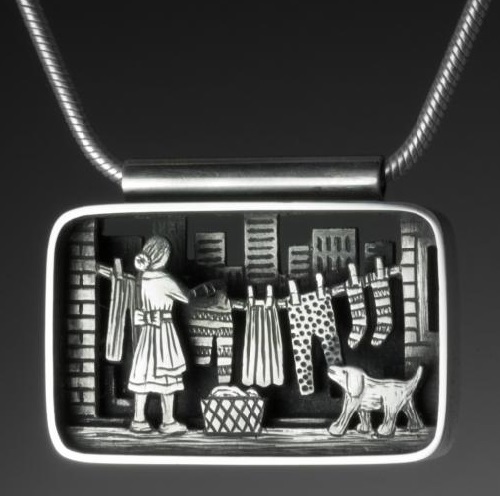 With tiny instruments and spectacular skills the talented jeweler cuts out the the three-dimensional figures, which became the trademark of Suzanne Williams’s jewelry. 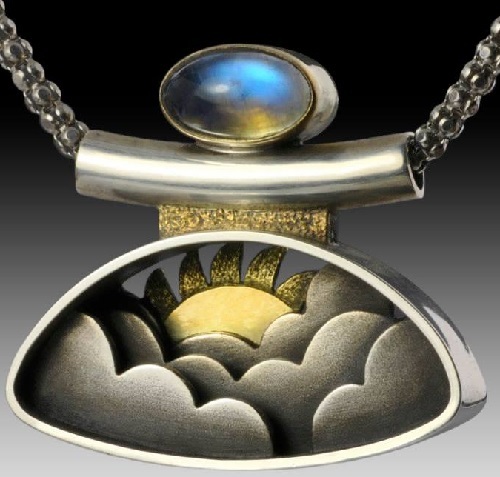 Suzanne Williams admits she has jad passion for jewelry since the young age of 2 when she played with her mother’s jewelry box. 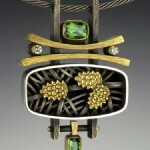 According to Suzanne, Jewelry is not only elegant, powerful, and fun, but can express philosophies, ideas, and emotion. 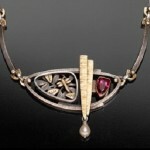 Each piece – hand made from silver, gold and bronze. 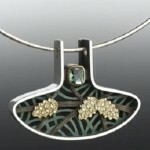 The artist describe the process – “I begin by cutting and bending strips of metal to shape the contour of the piece. 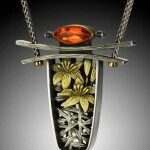 Then, create the imagery for the center by piercing the metal, threading a tiny saw blade through, and sawing out each individual opening or design element. 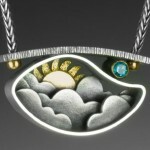 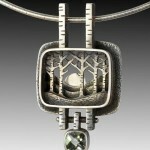 In my 3-d pieces, I stamp, grind, engrave or etch each layer of imagery before soldering the entire piece together. 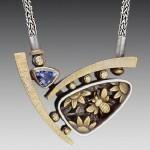 Setting stones or glass, texturing, polishing, oxidizing, or applying a patina finishes the assembled piece”.